[PDF] Reflections On Anti-Semitism | Free eBooks Download - EBOOKEE! Description: Since the inception of the â€˜War on Terrorâ€™, Israel has become increasingly important to Western imperial strategy and ever more aggressive in its policies towards the Palestinians. A key ideological weapon in this development is the cynical and unjustified accusation of â€˜anti-Semitismâ€™ to silence protest and dissent. 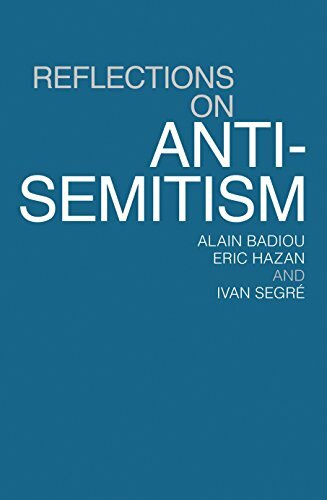 For historical reasons, this tactic has been deployed most forcefully in France, and in the first of the two essays in this book French writers Alain Badiou and Eric Hazan demolish the â€˜anti-Semitism is everywhereâ€™ claim used to bludgeon critics of the Israeli state and those who stand in solidarity with the banlieue youth. In â€˜The Philo-Semitic Reactionâ€™, Ivan Segre undertakes a meticulous deconstruction of a rampant reactionary trend that identifies Jewish interests with the â€˜democraticâ€™ West. Segreâ€™s aim is to uphold a universalist position and to defend Jewish tradition from Zionist ideological distortion. No comments for "[PDF] Reflections On Anti-Semitism".